This post is in collaboration with Skin Nation. As always all opinions are my own. You all know I LOVE learning about new products. 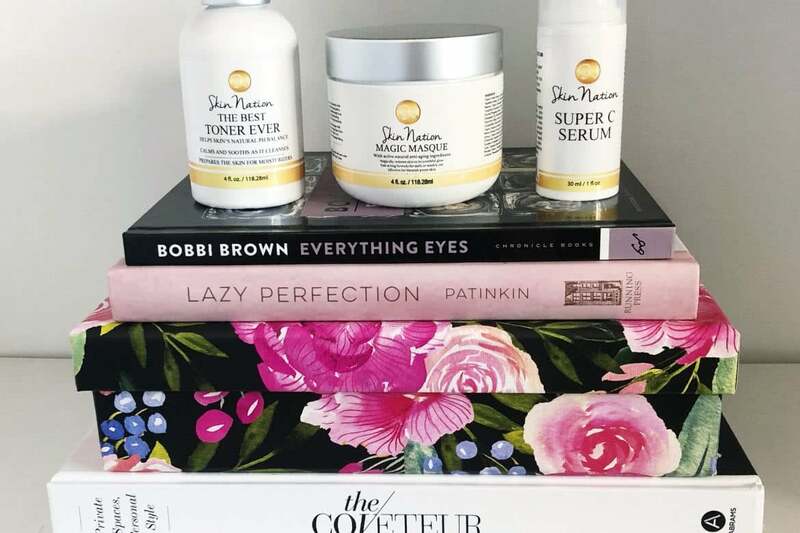 When the organic skincare company, Skin Nation, reached out I was really excited because it was started by Michelle Stafford– actress, writer, producer and two-time EMMY winner… NBD. She is currently playing Nina Clay on General Hospital! The reason she started this company is REALLY amazing. Michelle’s sister was diagnosed with breast cancer a few years ago and she went into research mode to figure out a way she could help. She quickly discovered that most products have a lot of toxic chemicals, and how they can really cause damage. 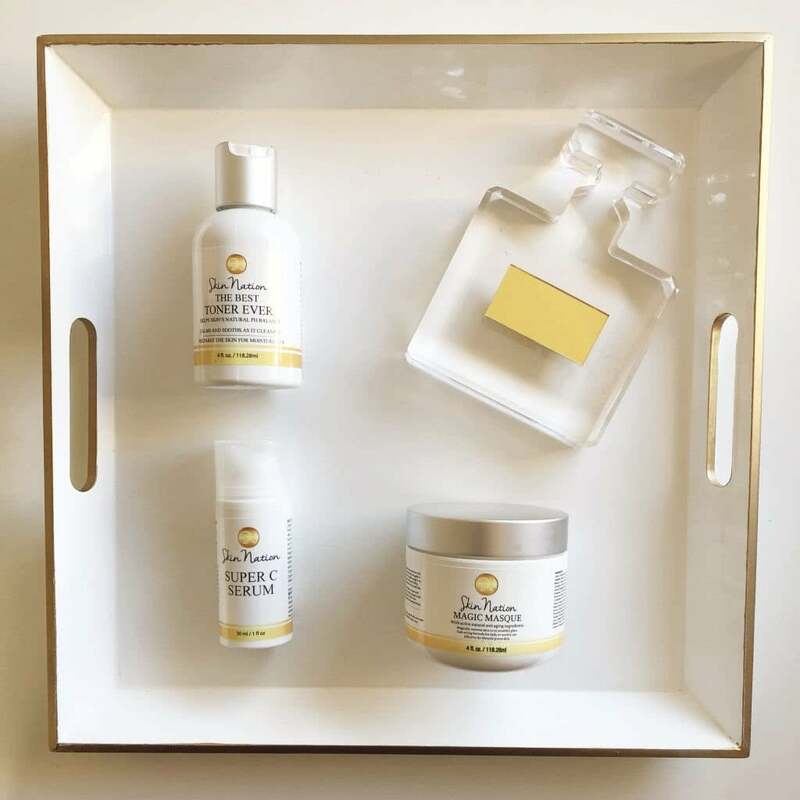 She tried finding natural, affordable products that work and realized that it was surprisingly challenging. After a lot of research and testing, Skin Nation was born! They were sweet enough to give me three products to test. 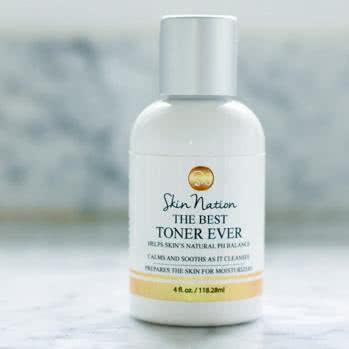 THE BEST TONER EVER (love the name!). You all know I live for toners because they are an essential part of cleansing. I love this one because it is alcohol-free, calms redness and is super hydrating. 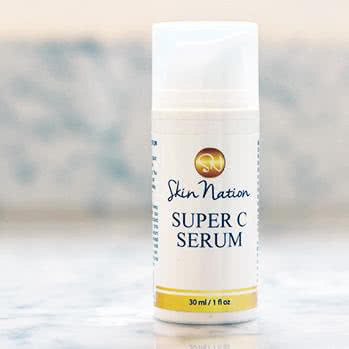 Super C Serum. I LOVE vitamin C because it is such a powerhouse vitamin- it generates collagen and restores elasticity. Their serum has aloe, omega 3 & 6 enriched rosehip oil, antioxidant fruit extracts, vitamin E and organic neem oil. BTW, Neem oil has been a staple in traditional folk medicine for centuries. It is mainly known for reducing redness and any inflammation of the skin, and it’s excellent for all skin types. I liked how quickly their serum absorbs, and it doesn’t smell weird like some Vitamin C products do. 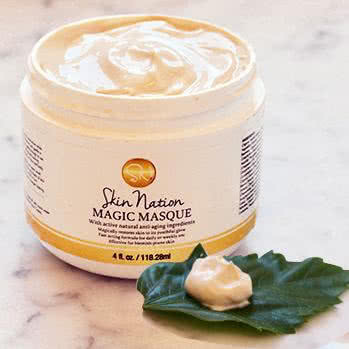 Magic Masque. The mask has Bentonite, which can increase circulation to the skin, clarify pores clear of toxins, leaves skin rosy, supple and glowing fresh. I loved how soft the mask was and it was easy to wash off! I admire what Skin Nation is doing with their line and if you are interested in checking them out here is their website! www.skinnation.com. Also, if you use the code “LAURENERRO10” you will receive 10% off your order. Have you tried any all natural or organic lines? Let me know in the comment section below! This line is perfect. I have been waiting for this for so long. I will surely try this product! Thanks for sharing this. Have yet to try and all natural line but this one sounds amazing!